Adding digital makeup and removing blemishes can be a timely process. In this video tutorial, Martin Brennand use a clip from Artbeats Rubberball footage library to show how mocha Pro’s amazing planar tracking technology and remove module can be used to clean unwanted details for beauty shots. Watch Tutorial for free now. mocha Pro is a stand alone motion tracking and effects product running on OSX and Windows. Supports: Adobe After Effects, Apple Final Cut, Avid, Nuke, Flame, Smoke & more. Upgrades are available for owners of Adobe After Effects CS4-5.5 or any Imagineer product. 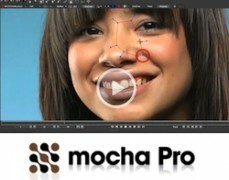 Learn more about mocha Pro.